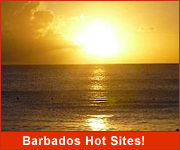 This is our only intact sugar mill in Barbados and is the fourth of Barbados.org's "Seven Wonders of Barbados"! Morgan Lewis Windmill is located in the northern parish of St. Andrew overlooking the eastern coastline of the island and the Scotland District. Stroll the beautifully landscaped grounds for a 360° view of the historic mill. You can also choose to explore the interior of the mill on either a guided or self-guided tour. The Grind Artisan Cafe, located next to the windmill, offers stunning views of the scenic east coast and lush countryside. Enjoy refreshing cold and hot drinks, as well as a wonderful selection of sweet and savory options including sandwiches, quiche, and cakes. The Barbados National Trust periodically demonstrates grinding of sugar canes at Morgan Lewis. The resulting cane juice is absolutely delicious! 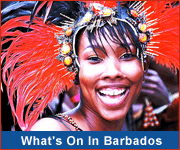 Contact the Barbados National Trust to see when this event is on or visit http://whatsoninbarbados.com. Many island tours include a stop or drive pass Morgan Lewis Mill. 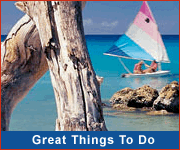 Check our island tour guides for more information. If you wish to stay a bit longer for the windmill tour, photos and a snack, we recommend visiting the on your own by car or taxi. 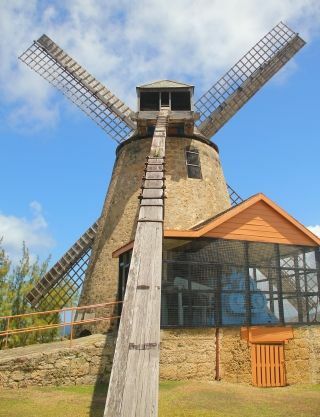 If you are renting a car, you can easily include a stop at Morgan Lewis Windmill as you tour the north and east of Barbados. Just check an island map or your GPS before you head out. Visit Morgan Lewis Windmill on a Half-Day island tour! Morgan lewis Mill from Ricky Chase on Vimeo.